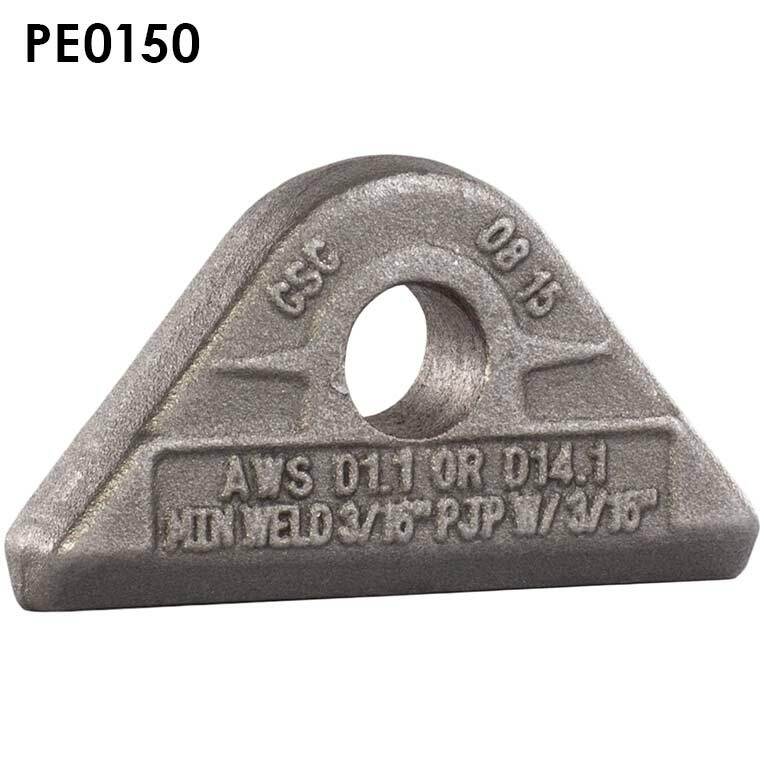 If your product design requires a padeye, a great deal of time and expense can be incurred in the process of engineering, fabricating, machining and certifying lifting padeyes in-house. 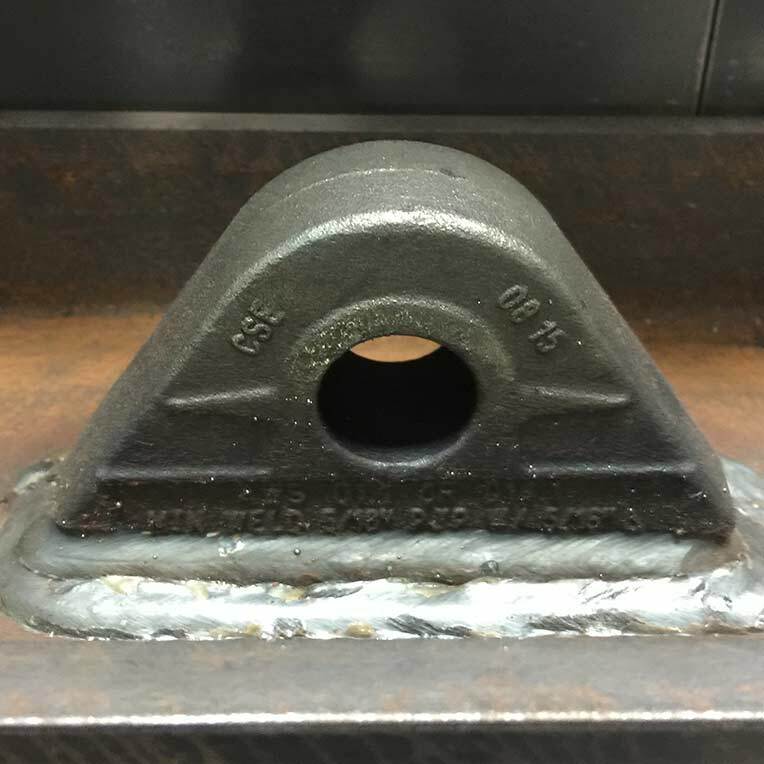 Speed up your production, testing, and approval process and expedite the delivery of your finished product to market with IMI's pre-engineered, certified and ready-to-weld lifting lugs. 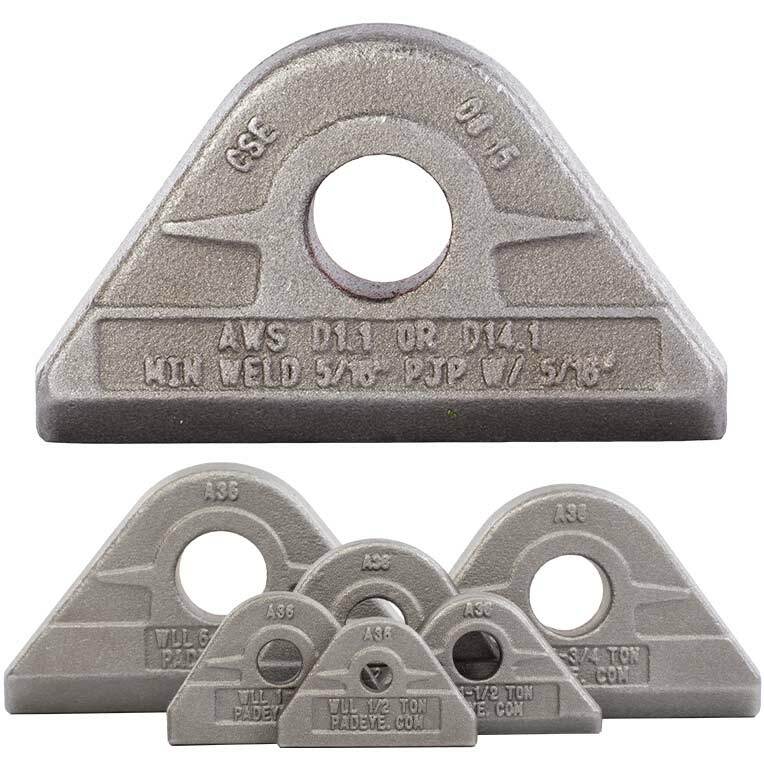 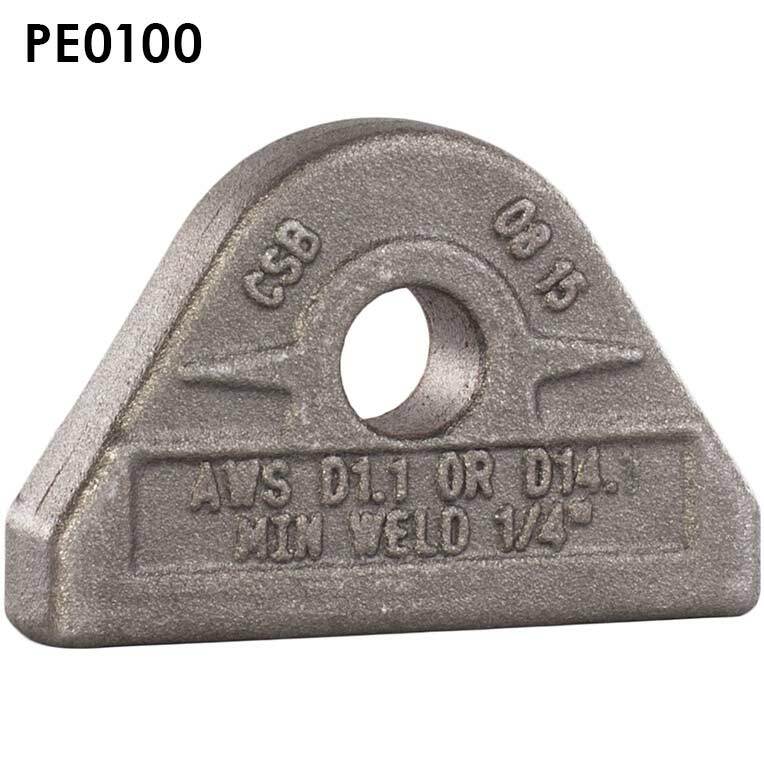 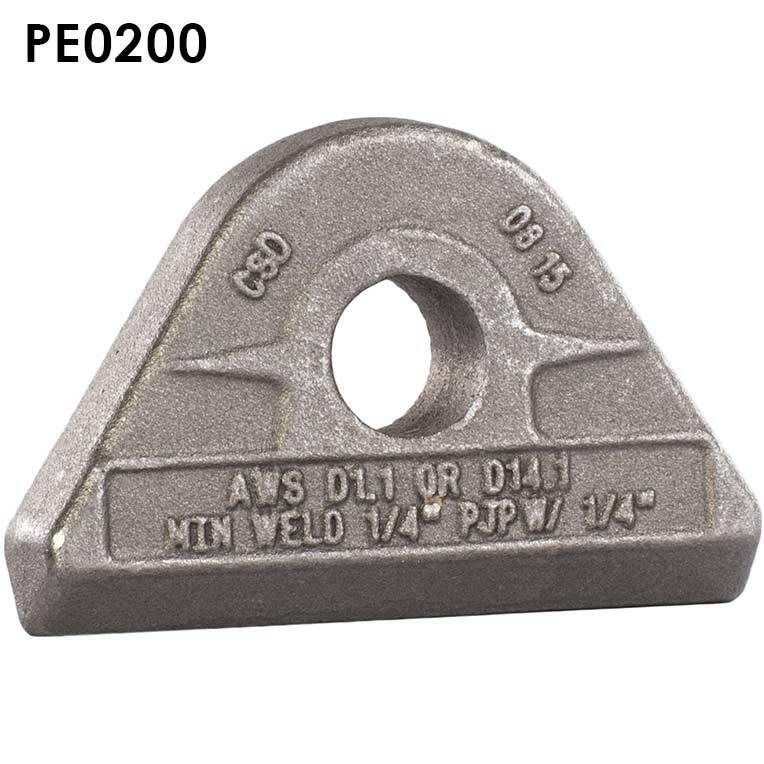 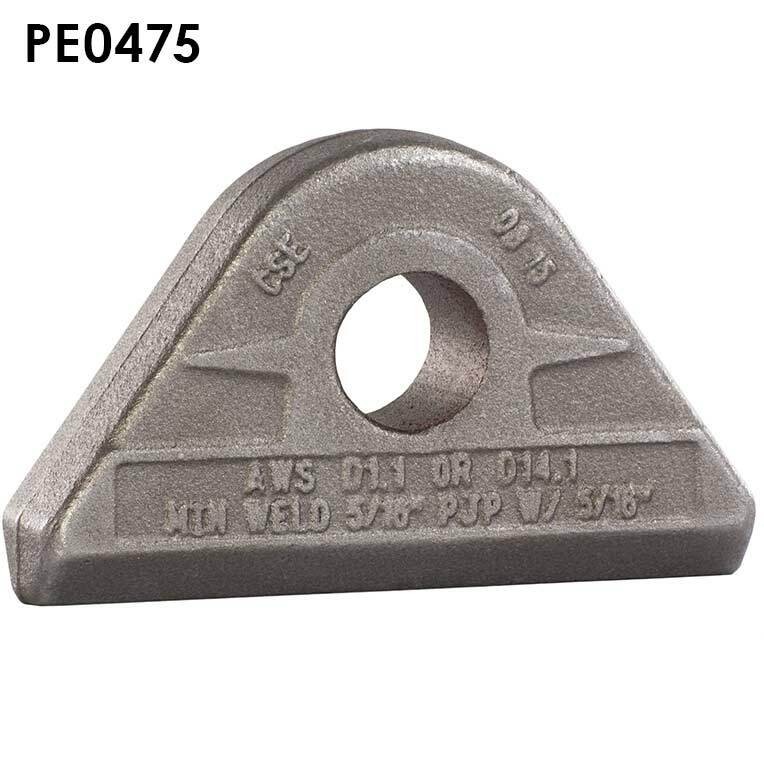 Composed of A36 carbon steel and available in 6 standard sizes, these padeyes are rated for 1/2 ton up to 6-1/2 tons and come with a reamed hole to fit a shackle pin/bolt(sold separately) at +/- .001". 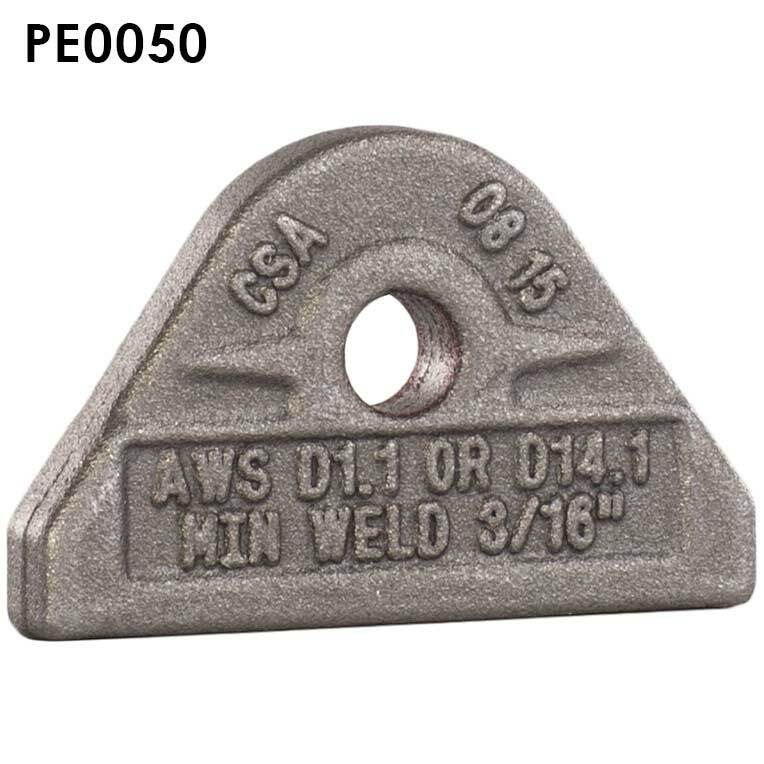 The padeyes feature a date code and a guided weld line, as well as listing both the requirements for the weld specification/type and the welder's qualifications. 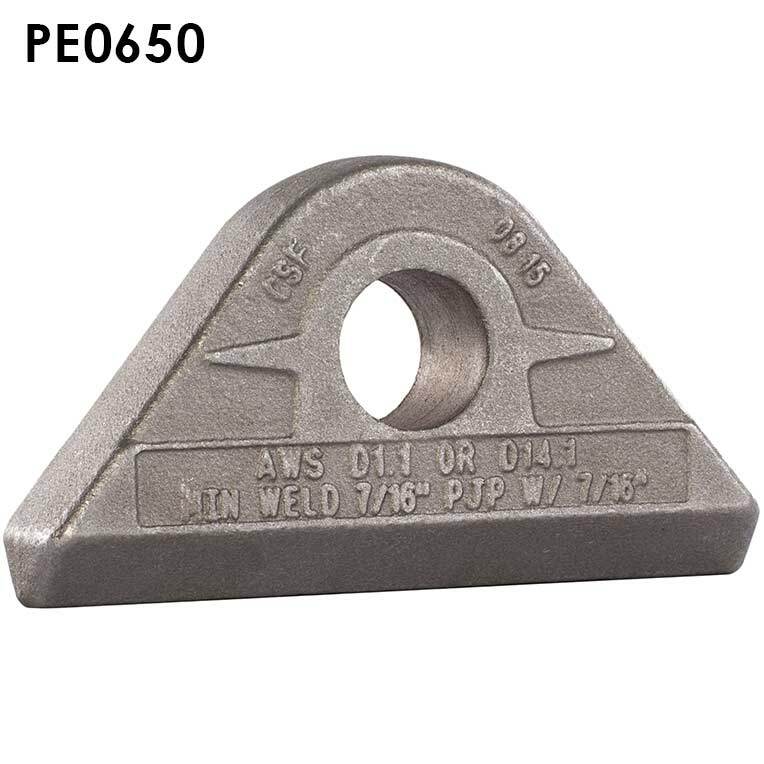 PE0050 PE0050S 1/4 1/2 3/8 7/16 2-1/8 1-3/8 0.20 0.188"
PE0100 PE0100S 3/8 1 15/32 9/16 2-7/16 1-5/8 0.40 1/4"